A holiday quiz: Which of the following contributed to the creation of America’s Thanksgiving holiday tradition(s)? Question 2, chose one: In which year did the chrysanthemum become the traditional Thanksgiving flower? Each contributed to the Thanksgiving holiday tradition in his own special way. 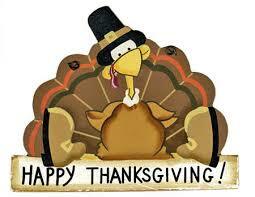 The country’s first day of Thanksgiving was held in 1619 by order of the Berkeley Company. The chrysanthemum, the “Mrs. Roosevelt” bloom became the traditional Thanksgiving flower in 1905. Today Berkeley Plantation, located halfway between Richmond and Williamsburg, is known as the “most historic plantation on the James River.” It includes a First Thanksgiving Shrine. It is also the 18th century home of Benjamin Harrison, signer of the Declaration of Independence, and his son President William Henry Harrison. The first presidential Proclamation of National Thanksgiving was issued on October 3, 1789, President George Washington’s inaugural year. “It is the duty of all Nations to acknowledge the providence of Almighty God, to obey his will, to be grateful for his benefits, and humbly to implore his protection and favor.” Mount Vernon Estate, Museum & Gardens traditionally displays Washington’s 1789 Proclamation Thanksgiving Week. “Americans, both North and South, shared a common reverence for George Washington,” Lincoln scholar Gerald Prokopowicz said. Like Washington, Lincoln issued his Thanksgiving Proclamation on October 3, then assigned November 26 as the day of Thanksgiving. “We…fervently implore the interposition of the Almighty Hand to heal the wounds of the nation and to restore it as soon as may be consistent with the Divine purposes to the full enjoyment of peace, harmony, tranquility and Union.” Lincoln’s son Tad entered a “plea” on behalf of the live turkey and the White House bird was pardoned. Then the Great Depression came. In 1941 President Franklin D. Roosevelt entered his third term, America was planning for world war, and the economy needed a boost. President Roosevelt, using a “rabbit trick,” chose to extend Christmas sales by moving Thanksgiving forward a week. Congress cried foul and in 1942 Thanksgiving became a federally recognized holiday; every fourth Thursday in November just as before. Black Friday, cyber Monday will come soon enough.